North Carolina lawmakers’ latest attempt to insert politics into the judiciary was thwarted Tuesday but is expected to be taken up again the next time they gather in Raleigh. Legislators unveiled new prosecutorial and judicial district maps this week that would dramatically change the way district attorneys and judges are elected across the entire state. A committee meeting Monday set the stage for the measure to be pushed through the General Assembly by the end of this week and the expected end of the 2017 “long” session but it came to an abrupt halt Tuesday. House Bill 717’s sponsor, Rep. Justin Burr (R-Montgomery, Stanly), did not return multiple emails for comment but told the News & Observer that Gov. Roy Cooper vetoed the state budget sooner than expected, narrowing the timeframe the maps could be moved through both chambers. He said HB 717 will be taken up in a few months when a special redistricting session could occur. Burr presented the bill to the House I Judiciary Committee on Monday afternoon and said the new proposed maps would right wrongs in districts across the state and give voters more of a voice in affected elections. Democrats protested the measure and grilled Burr at the meeting about the timing and secrecy of it, the motivation in creating new districts and the factors considered in drawing the proposed maps. They questioned technical aspects of the bill and pointed out the unequal divisions in larger, urban areas that tend to vote Democrat compared to smaller, rural areas that traditionally vote Republican. Burr gave similar answers to a lot of the questions asked of him: “this is a multi-step process” expected to take four to five years. If Democrats want to suggest changes, he added, he was more than happy to talk with them further, later. The bill is just one of many examples of troubling pieces of legislation in North Carolina, according to Michael Li, senior redistricting counsel at the Brennan Center for Justice in New York. The fact that HB 717 was brought up so fast and didn’t have bipartisan support raised alarm bells, Li said. Most places across the nation enjoy fairly stable judicial and prosecutorial districts, and if changes are made, there’s usually more time. “Usually it’s something that is very bipartisan and non-controversial,” Li added. Rep. Grier Martin (D-Wake) asked Burr on Monday if he would slow down the process to get more input. One of the big questions surrounding the proposed maps was whether or not any form of gerrymandering, racial or partisan, took place when legislators crafted them. Burr says the following factors were considered when creating new maps: geography, population, caseloads and resources. He added that race was not considered at all and that lawmakers didn’t have racial data in front of them when they were drawing the districts. Burr, who remained relatively temperate through the committee meeting, grew agitated at one point over accusations of gerrymandering, though he did acknowledge partisan motivation. “I think this is a pretty serious situation and as I pointed out earlier, we are correcting gerrymandered districts,” he said, raising his voice. 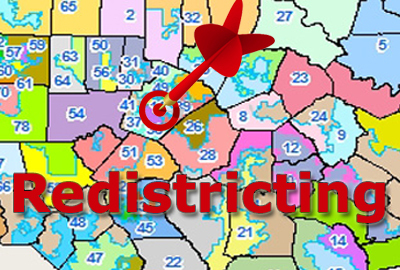 Burr held up a current district map for Mecklenburg County and used it as an example of a lack of fairness for voters. The county is currently split into three judicial superior court districts with the following voter makeup: 26A, 72,042 Democrats and 11,218 Republicans; 26B, 103,514 Democrats and 45,933 Republicans; and 26C, 132,088 Democrats and 111,786 Republicans. Martin pushed back and asked Burr which judges, which clerks and which other people involved in the administration of justice he’d actually talked to, what problems they identified and how he’d incorporated their solutions into HB 717. He told the committee that the Administrative Office of the Courts (AOC) and groups like the North Carolina Conference of District Attorneys were not consulted before the proposed maps were drawn. When asked about the AOC’s position on the new maps, spokeswoman Sharon Gladwell said the process outlined by House Bill 124 via the N.C. Courts Commission is the preferred process to address judicial redistricting because it allows for the all stakeholders in the judicial branch to be involved. HB 124 is a bill that requests the North Carolina Courts Commission to study the organization of the superior court, district court, prosecutorial and public defender districts. It has been stuck in the Committee on Rules, Calendar and Operations of the House since February. “The district apportionment in the current version of H717 results in unequal alignment for workload purposes,” Gladwell added. Democratic leader Darren Jackson pointed out in the Monday meeting that one of the districts in Guilford County, 22B, looked very similar to the racially gerrymandered legislative map struck down by the Supreme Court and asked what the rules were in terms of considerations made for the prosecutorial and judicial maps versus legislative and congressional maps. Legislative staff told him that they weren’t sure the “same rules of the road” applied to judicial maps. Rep. Jean Farmer-Butterfield (D-Pitt, Wilson) made the point a couple times that gerrymandering didn’t have to just be racial, it could be partisan. She told the committee that her constituents were upset about the changes and proposed an amendment to keep her districts the same after reading a letter from a concerned judge. When asked multiple times how lawmakers could be sure the maps meet the standards of the Voting Rights Act, Burr simply responded that he believed they did. He added that unless a judge is “legislating from the bench,” the maps will be upheld in court. Li said upon first glance, the maps did appear to be similar to legislative ones that were struck down as racial gerrymanders. He said lawmakers in North Carolina have to be careful when drawing maps because of the way districts can adversely affect certain racial groups. HB 717 would reduce the number of judicial divisions from eight to five – the North Carolina Constitution requires at least four. Since judges can be assigned to preside over any case within their judicial division – under the proposed fewer divisions, judges could have to travel further. For example, under the proposed maps, the first judicial division stretches from Dare and Currituck counties as far west as Durham and Person counties; a Durham judge could theoretically be assigned to Dare County to hear a case. When Jackson asked about the cost of judges traveling further, Burr told him the bill didn’t necessarily mean judges would travel from one end of a judicial division to the other, just that they could. He said fewer judicial divisions would allow for better rotation of elected judges. Wake County District Attorney Lorrin Freeman said the travel would probably be the biggest change for the local courts if HB 717 went into effect. Wake County falls into the proposed third judicial division and stretches as far as Union County. The changes in HB 717, if passed into law at a future legislative session, would be implemented as judges’ and prosecutors’ terms expire so no one would be forced out of office. Some positions, however, would be eliminated as a result of the bill, and some judgeships would shift from one county to another. The way in which some judges are elected would also change in some areas, like Wake County. Freeman said district court judges in Wake County would have to reside in the district in which they run for election under HB 717, as opposed to running county-wide as they currently do. There are currently 44 district attorney positions across the state; under HB 717 there would be 41. Scotland County District Attorney Kristy Newton said hers is one of the positions that would be eliminated. Scotland County, under HB 717, would be separated from Hoke County and paired with Robeson County with one district attorney representing both. Since Robeson County is bigger in geography and population, it’s likely voters would elect someone from there over someone from Scotland County. The 22-year veteran prosecutor said she has heard the rural vs. urban argument since she took office, which is what HB 717 comes down to. “Small is not insignificant,” she said. Newton pointed out that resources would likely get lost in bigger counties that have to take on smaller areas and asked legislators to fully fund the offices that would have to take on more as a result of HB 717. “If you’re going to get rid of some of us who have D’s behind our name, then at least fund the offices that are replacing us so that the citizens we represent get fair services,” she said. Robeson County District Attorney Luther Johnson Britt III agreed that HB 717 would more adversely impact the residents of Scotland County than Robeson. He said he believes one of the facts that got lost in debate is that Scotland and Robeson counties used to be paired together and it didn’t work because the larger dominated the smaller – resources allocated were primarily used in the larger county. The judicial maps proposed could result in two superior court judges being forced to run against each other in the 2020 elections, he added. “Somebody put a whole lot of thought into it,” Britt said of HB 717. Britt, who has been practicing law since 1987 and plans to retire at the end of his current term, called the proposed maps “hogwash,” and said that politics doesn’t have a place in the judicial system. “This isn’t about good judicial policy, it’s about politics,” he said. No one from the community spoke in favor of HB 717 at Monday’s committee meeting. Some people conceded that some districts should be studied and tweaked but they also argued that that stakeholders should be involved in the conversation. NC Voters for Clean Elections Coalition Director Melissa Price Kromm pointed out at the meeting that legislators recently told the public they were too busy to redraw racially gerrymandered legislative districts struck down by the U.S. Supreme Court. Rep. Marcia Morey (D-Durham) said the bill would affect hundreds of judges who have spent their lives serving the people and encouraged lawmakers to take their time. 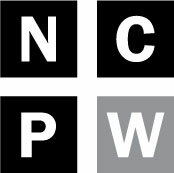 Organizations like the League of Women Voters of North Carolina, Democracy NC and Common Cause NC came out against the bill almost right away. NC Advocates for Justice told lawmakers they wanted to have a voice in judicial redistricting. Michael Li said people around the country will be watching what North Carolina does with HB 717 closely. He described the state as a “quintessential battleground” that fields existential politics, or the idea that everything is at stake for one political party or the other. “There’s a premium placed on winning,” he said, adding that it’s understandable but not fair.